Man in the White Suit 2 cards Ealing Studios Alec Guinness. 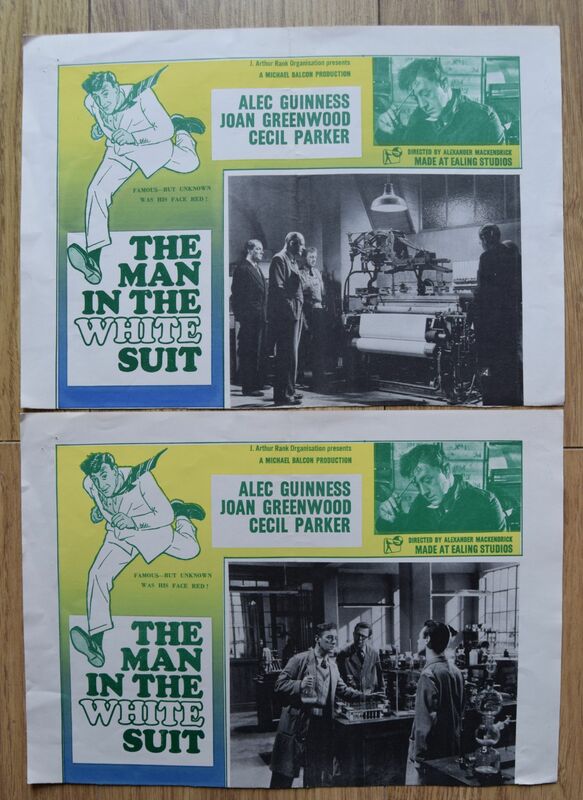 Man in the White Suit, 2 cards, Ealing Studios, Alec Guinness. Man in the White Suit (Ealing Studios) . 14" x 10"
Comedy starring Alec Guinness, Joan Greenwood and Cecil Parker. It has been mentioned that these are Canadian lobby cards, however, I am not sure. These are very good cards though. It looks like they have been trimmed at the bottom.